Diego P. Fernández Arroyo is a professor at Sciences Po Law School in Paris. He teaches subjects related to international dispute resolution, arbitration, conflict of laws, comparative law, and global governance, and he is the director of the LLM in Transnational Arbitration & Dispute Settlement, co-director of the Global Governance Studies Program, and co-director of the research program Private International Law as Global Governance (PILAGG). 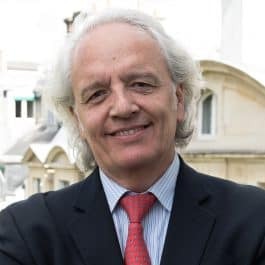 Professor Fernández Arroyo is a member of the Curatorium of the Hague Academy of International Law, a former President of the American Association of Private International Law (ASADIP), and the current Secretary-General of the International Academy of Comparative Law. A former Professor at the Universities of Salamanca and Complutense of Madrid, he has been awarded with Honorary Professorates by the Universities of Buenos Aires and National of Cordoba. He has been invited in a number of Universities of Europe, the Americas, Asia and Australia and he has been a Global Professor of NYU (2013/2015). Professor Fernández Arroyo is also a member of the Argentinean Delegation before UNCITRAL (Working Group on Arbitration) since 2003. He has represented Argentina and ASADIP before the Hague Conference of Private International Law, the Organization of American States and the UNIDROIT, as well. Professor Fernández Arroyo is actively involved in the practice of international arbitration as an independent arbitrator (ICSID, ICC, Milan Chamber, ad hoc) and an expert. He has developed several projects in the field of arbitration and international business law for the European Union, the Andean Community, the MERCOSUR, and the Latin-American Integration Association. He has published several books and a number of articles and notes in publications of more than 20 countries.